Making your way down the long driveway into Three Choirs Vineyards at Newent, Gloucestershire, you will notice an abundance of vines covering a great selection of varieties. 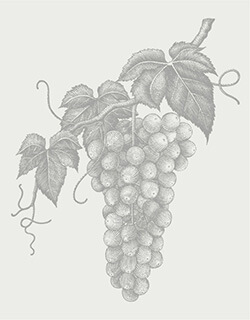 From the well-known red variety of Pinot Noir, to the less heard of varietals of Bacchus, Siegerrebe and Seyval Blanc. Here at Three Choirs we grow over 12 different varieties, which provides us with great freedom and plenty of opportunities to experiment and think outside the box when it comes to wine. Not to mention a very busy harvest for the team! As a winemaker at Three Choirs, I also have a good insight into what happens behind the scenes. Including, what you don’t see when you’re out in the vineyard and where those grapes, basking in the sunshine, will eventually end up once they have been picked. The winery. The Three Choirs winery team has an array of knowledge and experience. Some of the team have worked vintages outside of the UK, and several staff have been working for Three Choirs for over 36 years! This combination is the main reason why we can consistently achieve the high standards we do. What happens in the winery at Three Choirs? The day starts at 8am with a glass of our sparkling wine and… Wait a minute, that’s how I wish our day started. Actually, it’s normally a cup of coffee and a quick discussion about the day ahead. We then make our way into the winery and begin an array of tasks which vary depending on the time of year. We’re currently getting all the wines from 2016 ready for bottling. Except for harvest, this is one of my favourite times of the year as it’s the time when I get paid to taste wines daily. A typical harvest period begins in mid- September and will last until around early November. Then the grapes will be crushed and pressed (no, we don’t use our feet), placed into tanks and the chosen yeast will be added to begin the fermentation. Once all the fermentations are complete, the team will make sure all the relevant additions to the wines are made, and that they’ve gone through all the necessary quality checks. These checks begin almost instantly after fermentation is complete. Despite the busy seven day weeks of harvest, there’s still no time to sit back and take it easy, although we are lucky enough to go back to a five-day week. Normally tasting begins around the start of Spring as the wines have now developed, and we can see if some are destined for a single varietal (these tend to be our Bacchus and Siegerrebe). Or, they may provide something quite unique and expressive that they will benefit from adding some additional complexity to a blend. Once a decision has been made it’s time to let the team know and get these wines into their new home. This will involve filtering the wines so that the lees (dead yeast cells) are left behind, and they have that desired clarity that we are looking for. Now the wines are looking good they will be transferred to the bottling tanks and given the final seal of approval. Any final amendments are made before they will be bottled, sealed, dressed up with an attractive label, awaiting you to take them home for your enjoyment. Here are a couple of pictures I have taken today in the vineyard, these show the first stage of the vine’s cycle which is budburst. If you have any questions about what happens at the winery, or you’d like to know more, you can find us on Twitter or Facebook.